• 1. Make your Facebook account Public, so other people can like your Photos. • 2. Get the URL of your Facebook Photo/Picture/Page/Video. • 3. 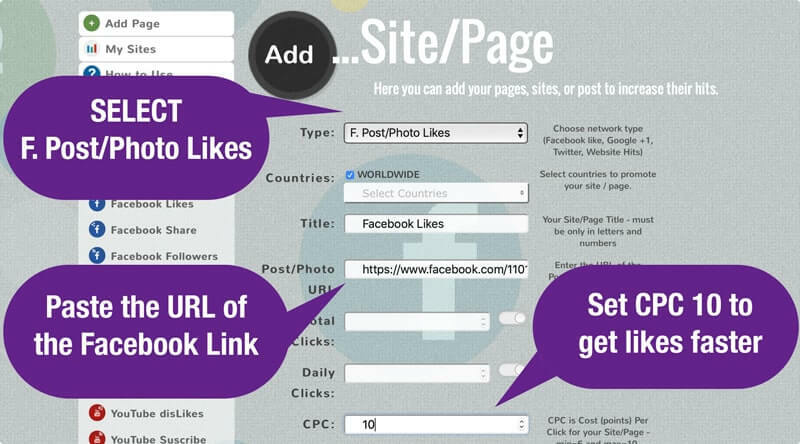 Add your URL to the auto liker to get more LIKES on Facebook. • 4. Get enought points and get 1000 likes on Faceboook photo in one day. We also get 1k LIKES on Facebook Page in the first week. IMPORTANT! Your Facebook account has to be PUBLIC, to get free Facebook likes, so other users can be able to like your Facebook Photo, Facebook Picture, Facebook Page or follow your Facebook page. 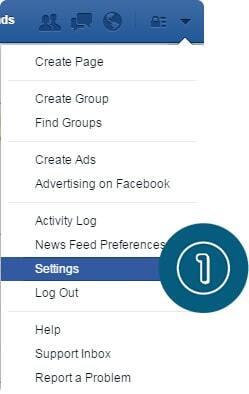 So, to make it PUBLIC go to https://www.facebook.com/settings. Then, click on Public Posts, then change “Who Can Follow Me” and “Public Profile Info” to Public. For Facebook Pages, only copy the URL from your browser of the Facebook Page, and that´s it! Otherwise, if you are going to add a Facebook Picture, Photo, Post or Video, you have to CLICK on the time of the publication, and that´s the URL, then copy from the browser and save it. IMPORTANT! The Facebook photo, Facebook picture, Facebook Page or Facebook post has to be PUBLIC. IMPORTANT! If you don’t receive the confirmation email, check your the SPAM/JUNK folder. 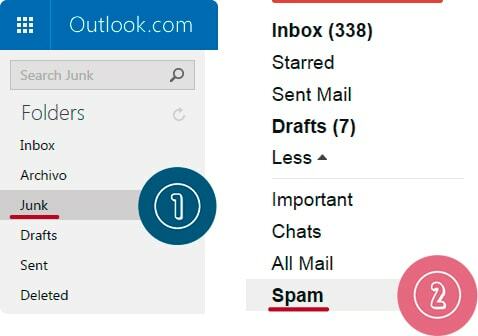 Otherwise, if the mail is not in your SPAM/JUNK, you can use our “ReSend Email Confirmation” tool(In the upper right corner of the main page) or you can contact our Support Center. Once you got the URL of your publication that you want to get more free Facebook photo likes, then it’s time to add your Photo, Picture, Page or Post that you want to get more likes on Facebook. Type: For Facebook Pages, select “Facebook Likes“ and “F. Photo/Post Likes“ for Photos, Picture, Posts or Videos. Title: Is only to identify, could be whatever. Page URL: Here you have to paste the URL of the photo that you want to get more likes on Facebook. CPC: The CPC(Cost Per Click) is the cost in Points of any like you get on your Facebook link. For example, if you set it 10, each like that you get will cost 10 of your points. So, the higher the CPC is, the faster you get likes on Facebook. 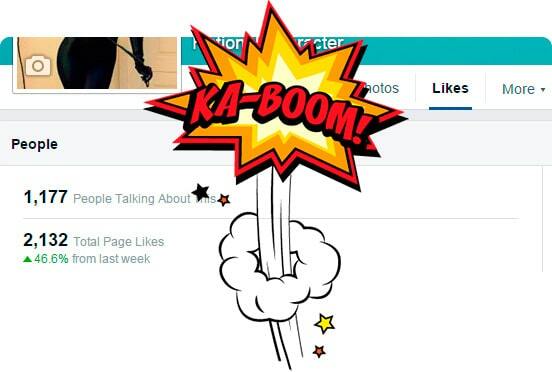 Total Clicks: With this option, you can set the Total limit of likes that you want. Daily Clicks: With this option, you can set the Daily limit of likes that you want daily. Finally, if all the process was successful, your site will be added like in the picture below and will start to receive a lot of likes. Then you only have to wait a few minutes to get more likes on facebook photo, and you need to have enough Points to get all the likes than you want on your facebook profile picture. KingdomLikes is a website of likes exchange that works according to points. 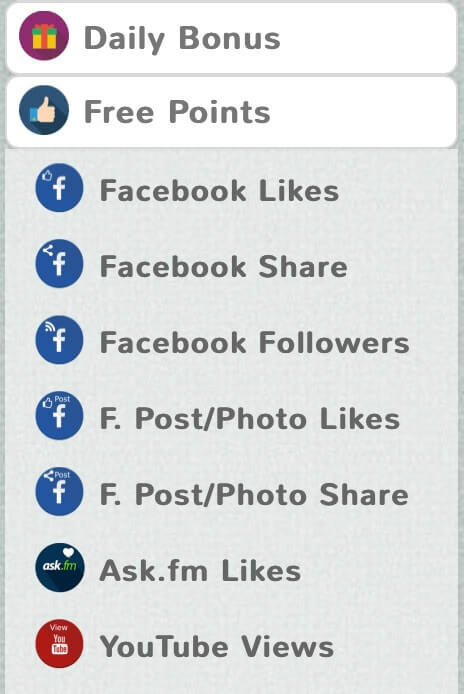 So, to get likes on Facebook you must have enough points, these points can be earned in different ways. 2. Press on the button(Like) to open the pop-up. 3. Then, like the Facebook Page or Instagram Picture or Ask.fm Likes, etc. 4. Finally, close the pop-up. Then the points will be added, and you can get all the points that you want by repeating this process. Also, you can buy Points to get free facebook photo likes. 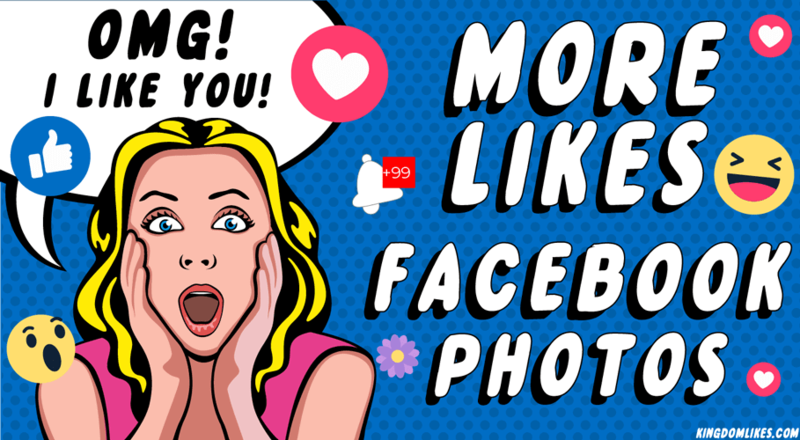 Kingdomlikes is the best and securest app to get likes on facebook pictures and buy Facebook photo likes because we have securest payment methods(PayPal), together with meager prices. Also, we don´t use fake likes on facebook photos or pictures. As a result, all our likes are from real people. The same people that use our app to get free points are the same people going to like your profile picture. Therefore you should get the likes in a very natural way without spam, cheat and without giving your Facebook credentials rather than some other autolikers. 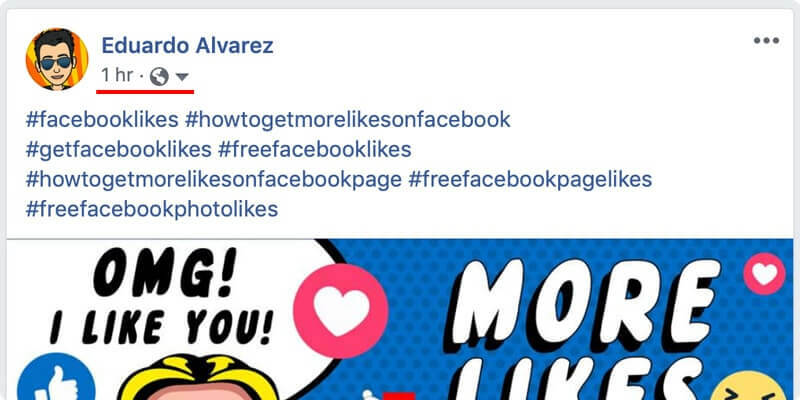 After doing these tricks of “how to get more likes on facebook profile picture” and you have a good amount of points, you only have to wait a few moments to start to get more likes on your Facebook Photos. Also, you can get 200 points daily bonus by like 100 photos. 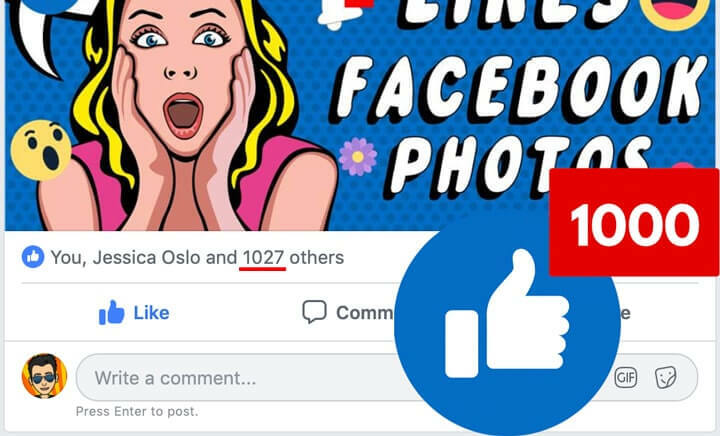 That’s why this article of “How to get 1000 likes on Facebook profile picture” was created, to increase likes on facebook photos and your interactions on social media. Any question that you have, please tell us in the commentaries.